Pattersons is your one stop shop for all of your pastry and baking supplies for home bakers and professional bakers. Choosing the right baking equipment can make it that much easier to produce outstanding baked goods and pastries. 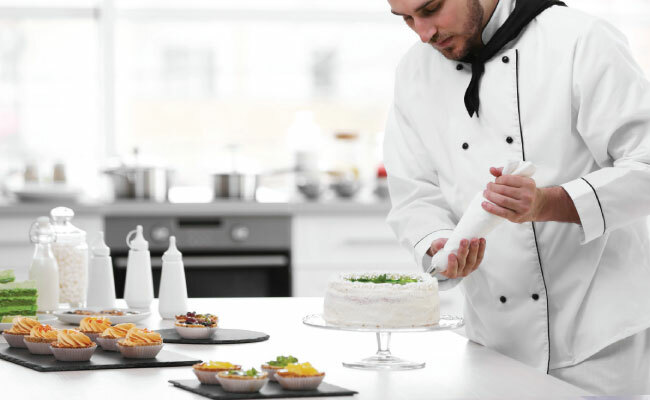 All of our baking products are suitable for professional pastry chefs and bakers but also the intrepid home chef. We have everything you need to bake a cake from cream whippers and bowl scrapers, all the way up to cake decoration with pastry brushes and cooking blow torches. Our silicone bakeware is a versatile way of preparing and cooking muffins, cupcakes, and frittatas, and their flexibility allows them to be simply and easily stored. Flour shakers, rolling pins, wooden spoons, and piping bags fill out our wide range of cake supplies and baking accessories as well as all the baking tins and baking trays you can dream of!